I’ve just added outtakes from Hayley’s latest shoot for VVV Magazine. I’ll let you discover those beautiful pictures by clicking on the thumbnails below – as for scans, they are available for viewing here. 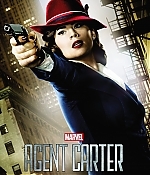 While being in San Diego this summer for the famous Comic-Con, Hayley and James D’Arcy met the TV Guide Magazine team in order to discuss the second season of Agent Carter. The full interview, which has just come out, is available for you to watch below. Hello there! 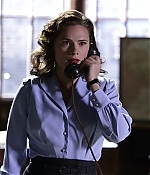 I’ve just updated our gallery with episode stills and promotional pictures of Hayley as Peggy Carter in the first series of Agent Carter. You can also browse the screen captures of Hayley’s scene by clicking here. Don’t forget that season 2 is coming in 2016! I’ve just finished uploading pictures of Hayley attending various ceremonies and events in the photo gallery. All 2015 pictures are available by clicking here or on the thumbnails below. You can also browse every pictures of previous years here! 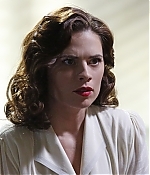 Welcome to Hayley Atwell Web! Hello there! 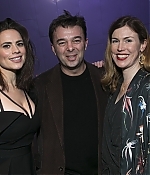 Welcome to your newest source for all things Hayley Atwell! 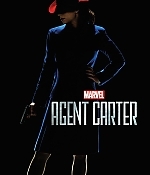 You may know Hayley from her work in The Duchess or more recently, as Peggy Carter in Captain America: The First Avenger and Captain America: Winter Soldier. 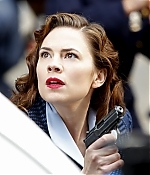 In 2015, Hayley took once again the role of Peggy in Agent Carter, a TV Series entirely dedicated to her character. 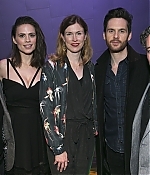 Here at Hayley Atwell Web, aim to provide you all the latest news and images on Hayley! Thanks for visiting and be sure to check back for more updates. 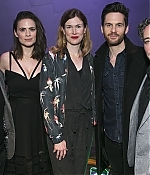 Posted on September 6, 2015 January 17, 2016 Author Nathali No Comments on Welcome to Hayley Atwell Web!